The Pelicans acquired Taylor from the Brooklyn Nets earlier this week. METAIRIE, La. — New Orleans general manager Dell Demps says the Pelicans have waived guard Tyshawn Taylor. Taylor was acquired from the Brooklyn Nets earlier this week, along with unspecified cash considerations, in exchange for the rights to the 6-foot-10 Edin Bavcic, who is currently playing professionally in Europe. 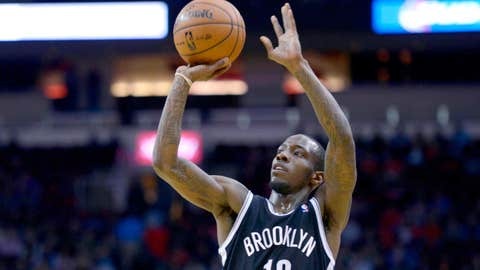 Taylor was selected by the Nets out of Kansas in second round of the 2012 NBA draft. He has appeared in 29 games this season for Brooklyn, averaging 3.9 points and 1.6 assists in 11.7 minutes per game. The Pelicans roster stands at 14, following Taylor’s release.